We are one of the genuine exporter and suppliers of Indian Tent which are known for their magnificent designs with royal appearance. You can be say that Indian Tent is a traditional tent because it reflects some Indian cultural style. Our team is focus on good quality, excellent design and superb material of components. Lavish Party Tent:- Lavish Party Tent is usually used in small kinds of functions like small meeting or gatherings. It is fabricated in dark red color of marquees and covered from back side with printed canvas. That create an amazing and fabulous look. The installation process is so fast and quick. Indian tent suppliers supply tent all over the world. Indian Tents have been artistically created by expert team for a breathtaking look and a comfortable stay perfect for function and weddings. Our tent has a sturdy construct with the beautiful look. 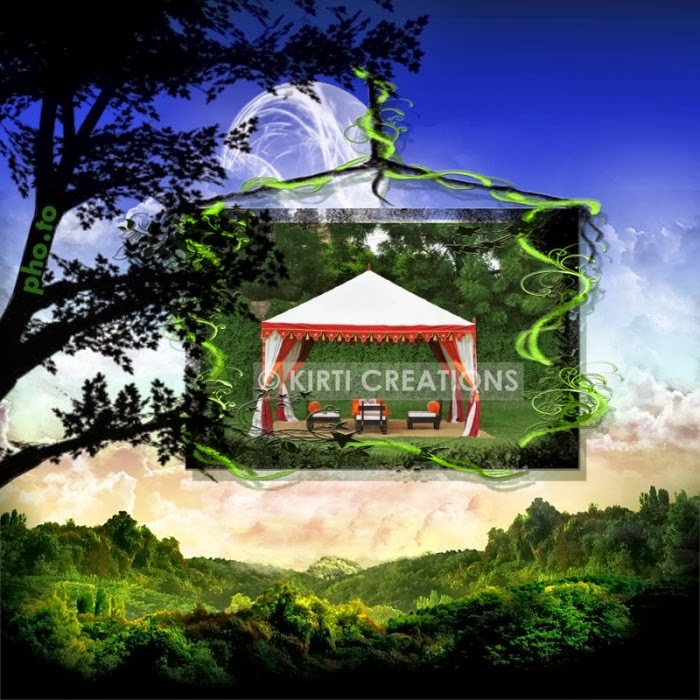 We are providing a wide range of Handmade Tents and our team is use only best grade raw material.